I want to stay here forever! "I had the best time ever!" "Now I feel I can be myself!" "I just did what you showed me because I was feeling sad." "And you feel better now?" 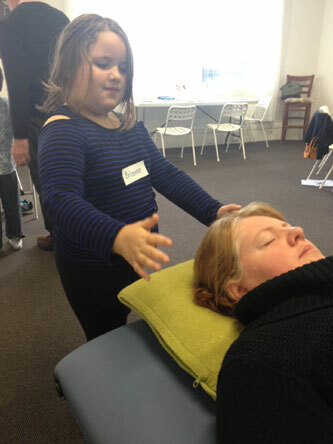 "Since the workshop my son (aged 6) uses Reconnective Healing when he cannot sleep which is often as not. He voluntarily practiced distance healing twice the other night for another child." Can Kids Really Heal Others? 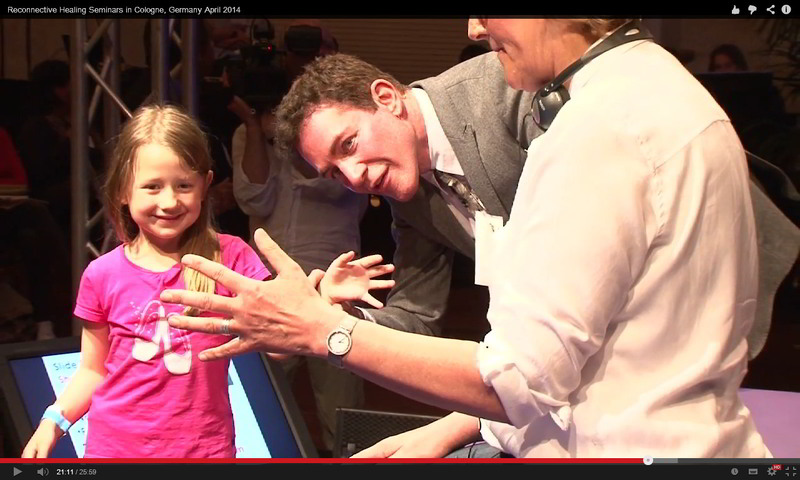 Here's a video clip of a seven-year-old girl facilitating a healing after just a few minutes' being introduced to the 'frequencies' with an introduction by Dr. Eric Pearl. Children really can access this ability very easily and quickly! for the next Connected Kids, Empowered Parents workshop in Tasmania to be held in Hobart. Classes are also available for schools in Tasmania. Contact me for more information. It's One Activity that Lasts a Lifetime! “Children will learn so much more easily, because they don’t come in with the ego of thinking they already know the answers. When we believe that we already know the answers we filter everything through the answers that we think we already know and we tend to limit the amount of information we’re able to take in. Children don’t have that. "I always wanted to be a healer, but I didn't think it was possible!" Reconnective Kids Instructor training Sydney, January 2011. Students after my first class in March 2011. "I did it for my mum this morning 'cos she needed to calm down. Then she did it for me"
When I received Dr. Eric Pearl's book, The Reconnection, in the mail, in early 2009, I tried these exercises, having read the first two sections of the book. And, yes, I did notice something. Was it wind blowing through my hands? Was I breathing on my hands? Not wanting to deceive myself, I got on the phone to Catherine Ong in Sydney. Catherine was a practitioner mentor with The Reconnection teaching team. She helped me to understand the process of getting to know the frequencies. Then I had to wait until August and the next Level I/II seminars to really be sure I was on the right track. Sure enough, at the seminar with 101 other students, the teaching team and Doug De Vito, it became clear that this was the real thing, and that I – like everyone else there – could do it. And so can you...and your kids! I mention all this because, since 2011, I’ve been privileged to introduce these same frequencies to hundreds of children in Tasmania. Like me, they all get it and like me at some stage some of them are not sure if they got it and like teaching anything, some take it to heart – or like a duck to water – and some, well, we’ll see how it unfolds for them. 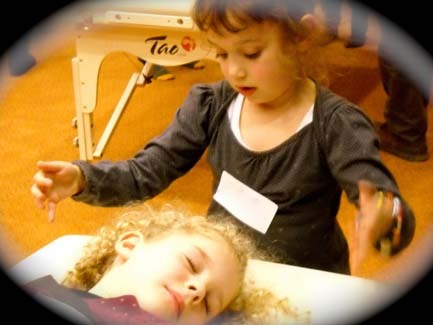 In a Connected Kids workshop, children from age 4 to 12 can learn Biofield Healing in just two hours. These kids can then go on to use the knowledge to help with their own healing, for their families, their pets, plants and even for their loved ones who live at a distance. I think this truly is a quantum leap forward in the teaching of our children! Here are some stories and comments from students and parents. Thank-you! I’ve been seeing things since I was really young, but have never told anyone ever, because I didn’t want them to think I was strange. Now I feel I can be myself!! Lis (9 years) is enjoying her life so much! She thought the class was fun, but at the same time strange and amazing that one could do such a thing! Since Lis has done the Reconnective Kids, she has boosted her confidence, is excelling in Maths at school (remarkable, considering that prior to RKids, she couldn’t do Maths at all, now she teaches other kids in class!). She says she is much happier, has a lot of clarity in her thinking and what she wants to do. She is focused. Lis uses her healing at school all the time, mainly to resolve conflicts (I thought this was a very interesting approach, especially for a just turned ten year old). 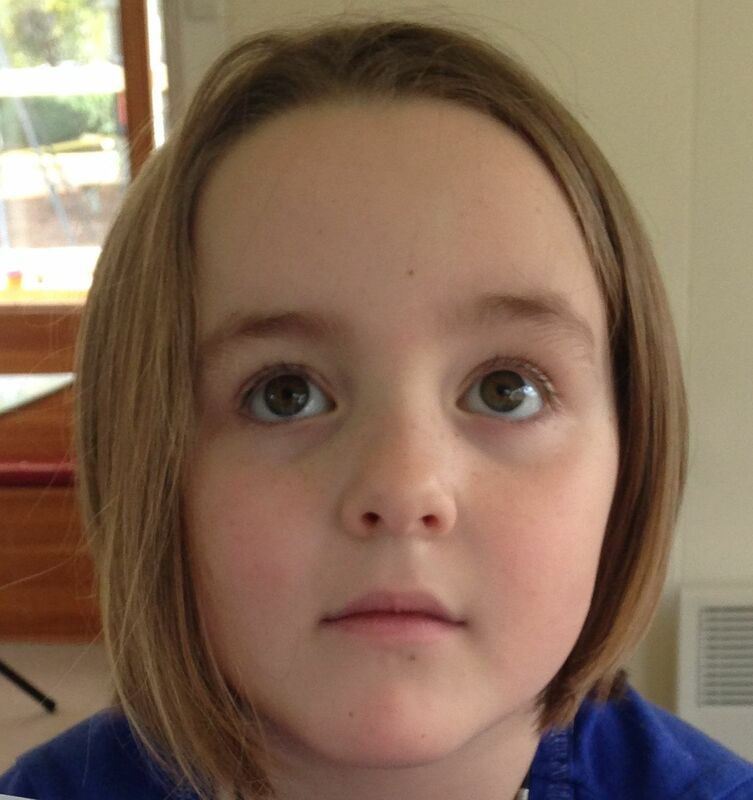 Pippa, now six, loves the “tingly” feeling whenever healing is done on her. She thought the course was much fun, and she has really calmed down a lot (a very hyperactive child). Pip uses it on kids at school that bully her and they seem to leave her alone. So both have benefited greatly from it! The whole feel of our home has changed, we have much more laughter, and the atmosphere is lighter!